Most of you know by now that I am huge fan of post-apocalyptic / dystopian fiction. Since my own attempt at this genre, Earthburst, will be released after Easter, I'm hyper aware of this market, and nothing is bigger right now than Suzanne Collins's Hunger Games series. This being the case, I thought I'd offer my insight into the film. All of us who are authors would consider it a crowning achievement to have one of our books made into a movie, and I figure that I would probably allow my work to be radically compromised if such an offer were made. Everyone has a price, right? After watching The Hunger Games movie today, I asked myself, if I were Suzanne Collins would I be happy with the film's interpretation of my work? Unfortunately, I don't think so. the film's treatment of the reaping scene. I felt as if I were there. I'm glad there was no melodramatic background music, just the quiet camera panning over fearful faces of children and their families as the tribute names were drawn. They did, however, cut Haymitch from the scene. I would like to have seen him falling off that stage. What bothered me about the film? Simply put, it lacked soul. In the book, we experience life through the eyes of 16-year-old Katniss and her daily struggle to live in a miserable post-apocalyptic world. We identify and root for Katniss because her father dies in a mining accident and her mother suffers a mental breakdown. This leaves Katniss no choice but to become the sole provider for her mother and kid sister. She learns to hunt, learns to barter, gains self-confidence, and hones her survival skills. This gives the reader some hope that she could possibly survive the games. Film goers who did not read the book are clueless and left wondering, why her? All of this vital back story is missing from the film or dealt with in a series of flashbacks that represent nothing more than sketchy afterthoughts. The film blows it as far as developing Katniss as a character which is too bad, because therein lies the essence of Suzanne Collins's work, the magic that makes The Hunger Games the masterpiece that it is. Also barely there in the film is the relationship triangle between Katniss, Gale, and Peeta. And shame on the filmmakers for failing to show us the depth of betrayal Katniss feels when Peeta ostensibly forms an alliance against her with the career tributes. To be fair, that's a lot to squeeze into a conventional film, but we've all seen other novels made into movies that work well. The filmmakers could have tried harder. I'm afraid that too many non-readers will not understand what makes The Hunger Games so remarkable. So, when Hollywood comes calling at my door to make Earthburst into a movie, I'll welcome them, but I'll also be wary. My dark paranormal, Dancing With the Devil, is available for free at Amazon. Grab a copy! I'd love for you to read it. And please help spread the word. This one's book 2 of The Goddess Connection series. With the heroine related to the goddess Persephone and her husband Hades, a good bit of it's set in the Underworld. I'm somewhat of a mythology addict (and a research addict, a dangerous combination!) so loved writing these characters, and placing them in modern settings with a new twist. I hope you'll love reading it as much as I loved writing it. Embrace your inner goddess with The Goddess Connection. If you need to "try it before you buy," I'll post the first chapter on my blog tomorrow. 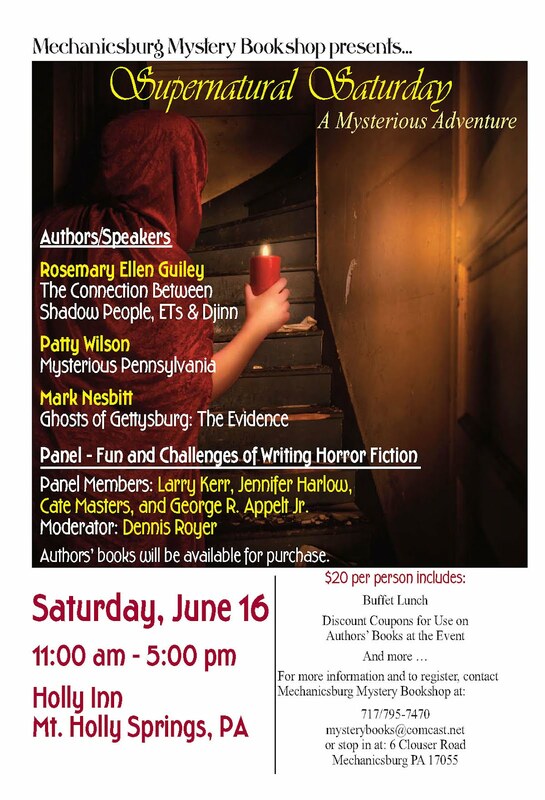 Good News from "The Write Stuff"
I had the good fortune of attending "The Write Stuff" conference of the Greater Lehigh Valley Writers Group this weekend. As always, attending a writer's conference is invigorating, and I want to share some positive news that I learned about the publishing biz. Author Marie Lamba, who is also an agent for the Jennifer DeChiara Literary Agency, gave a presentation entitled, "Claim Your Victory in Today's Publishing Revolution." Her theme stressed that instead of being nervous about the changes in the publishing biz, we should embrace the changes. One of the things she said that struck me is that "self-published" authors need to re-label themselves as "independently published" or "indie published." This follows the music industry where artists who do not land a major label are referred to as "indie musicians." Reviewing my notes, here are the key points that I learned from Marie's presentation. 1. We are living in the age of the empowered writer. Now more than ever before we can control our own destiny. 2. The publishing biz is enduring drastic changes, but the only thing that has not changed is the world still needs good quality writers. 3. Due to print-on-demand technology, many small indie publishers are springing up to take the place of the big NY publishing houses. 4. Lucrative deals are still being made. 5. When someone invests in a Kindle, research indicates they buy three times as many E-Books than print books and they tend to buy more impulsively. 6. Young readers are more tuned in to Kindles than to print. This bodes for a brighter future. 7. The old publishing model was to start with a hard cover, then release a paperback, then an E-Book. The new model is to start with an E-Book or do a simultaneous release. 8. More established authors have gone indie which lends greater credibility to indie publishing. 9. Kindles allow for free and lengthy previewing which attracts more readers. 10. Indie publishing is forcing traditional publishers to change. 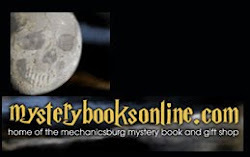 Traditional publishers are now courting quality indie authors instead of deriding them. "Quality" is the key. We need to strive for excellence in our writing. These points coming from a literary agent I find to be very encouraging. Dead to Rights is available from Decadent Publishing! Woo hoo! 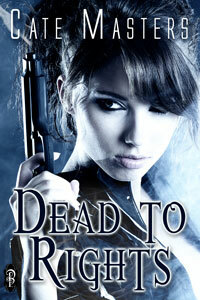 Decadent Publishing released Dead to Rights! I love release days. It's always a fun celebration. I should actually say re-released. You may remember I self-pubbed this novel last year. But I wanted it to reach a wider audience, and Decadent's editors helped me polish it up a bit. This story's a little different. Although it contains a little sexual tension, it's not a romance, but more along the lines of an urban fantasy. I'm never quite sure of the distinction between dark paranormal and urban fantasy, so I'm going with dark paranormal because of the demons, warrior angels and a mixup of souls. There's some violence and graphic language, so the heat level's bumped up because of that. I'm loving Decadent Publishing. They also arranged for a blog tour for Dead to Rights, so look for news of that, but probably not until May. 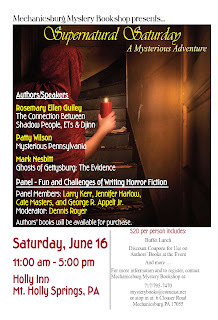 Mark your calendars for June 16! Did you know ebooks have been in existence for 41 years? Its true - the first ebook was created in 1971 as part of Project Gutenberg. Amazing! Ebooks overwhelmingly outsell print books these days, and for good reason. Actually, several good reasons! They're mobile. Instead of carrying one paperback, you can now carry hundreds of books at once. My Kindle's currently holding about 270. You don't need a special device to read ebooks. Kindles and Nooks are great, but you can also read on your phone, or your computer with free apps. You can buy an ebook in seconds. A wonderful convenience. Your favorite authors' books are available as ebooks. And you might find a few new favorites, too. My kids bought me a Kindle last Mother's Day, and I love it. The font size is adjustable, but with newer ebooks, most are formatted so they're easy to read. But with 270 ebooks loaded, I have some reading to catch up on. Check the E-Ink Facebook page for more news and giveaways. 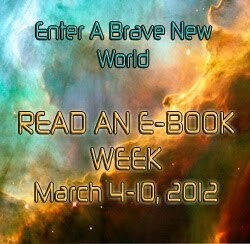 Will you celebrate Read An E-Book Week by reading an ebook? Which are on your TBR list?